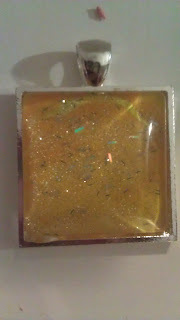 Hugs for Hailey: Yellow Sparkles Square! Sorry! I took this picture and forgot to use the flash on the camera! This is sparkly too!